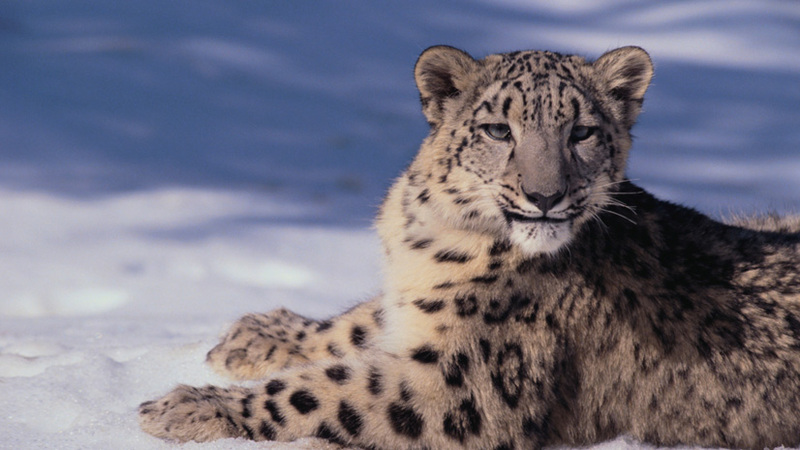 What is it about the snow leopard that allows it to survive in the cold mountainous regions of Pakistan? Snow leopards have adapted to live in cold mountainous environments. Snow leopards have wide, furry-soled paws to increase traction and better distribute their weight. Snow leopards have a stocky body, thick fur and small ears to minimise heat loss. Snow leopards have large nasal cavities in order to breathe thin, cold air. Here in the mountains of Pakistan, more than 5000m above sea level, a snow leopard is on the prowl. Snow leopards are adapted for living in a cold mountainous environment. Their feet are wide which distributes their weight better for walking in snow.